Blown big block chevy with 671 Mooneyham blower 401 ci. with 9 in Ford rearend, four wheel power disc brakes, 700r4 overdrive trans. 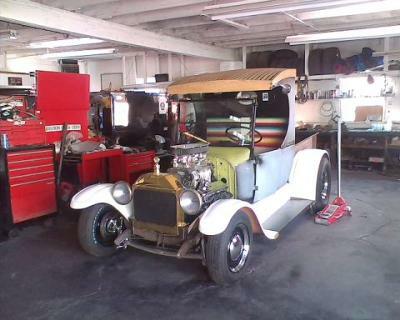 Custom built tube chassis, coilover rear suspension, 4 in drop front axle, cab is all original including rose colored headliights and windshield.